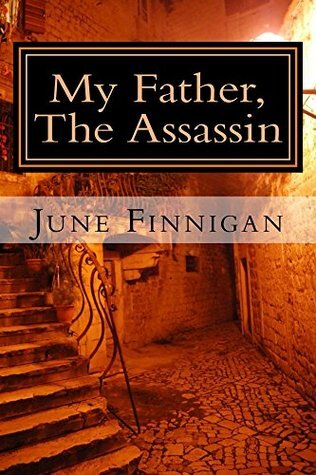 “This is where he went on holiday or the commune ran out of money! Or, there may be a demarkation line here…” Of course my man is driving us to Certaldo and talking about the mechanical hedge trimming guy who is late trimming the roadside hedges this year, and seems to have done a bunk, as we English say. Now in my view, the most likely reason for him disappearing having only completed half the job, is the mad dash to the seaside and mountains! 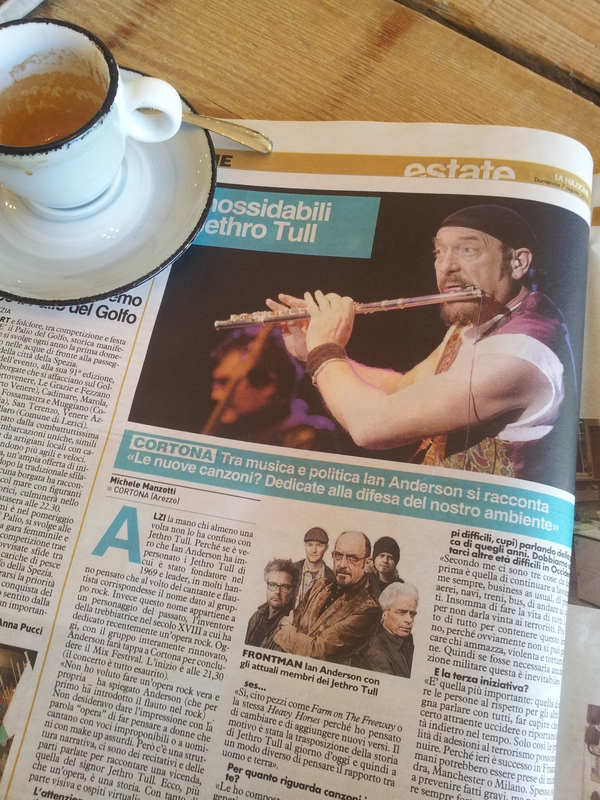 Ian Anderson and Jethro Tull wow the crowd in Cortona. 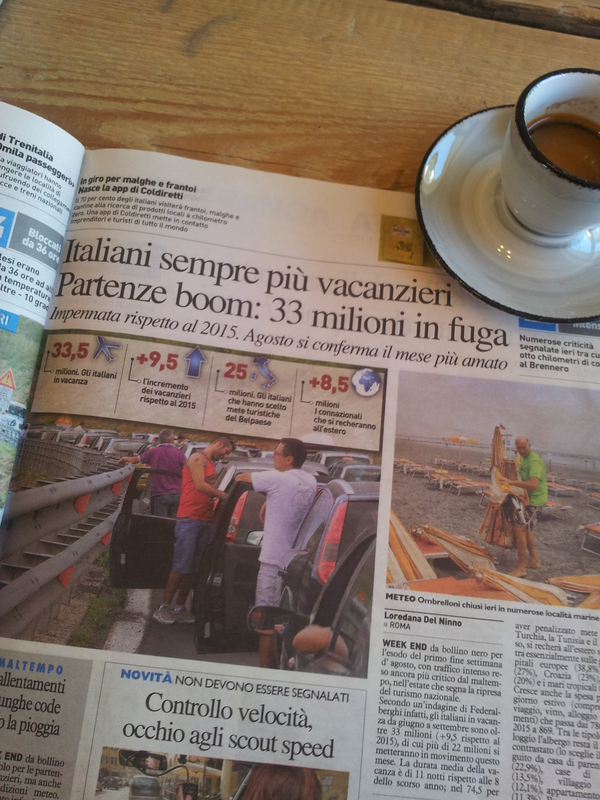 Would you believe it, La Nazione has reported that 33 Million Italians have joined the fuga (escape) causing traffic, train and flight chaos. Now this does happen every year and the last place you want to be in the first two weeks of August is here in Tuscany. However, this seems to be worse than last year. We went to our local Osteria for supper last Friday, and all the tables and chairs had been moved outside to cater for the non-Italian visiting tourists! This was unfortunate for we locals, as we actually like being inside in the cool, without having to compete with the zanzari (mosquitos) for air space. But hey ho, life eeez good life eeez now…. But on the bright side, I read that Jethro Tull has had a brilliant concert and wowed the crowds with a whole new repertoire of tunes. It seems that Ian Anderson the flutist has gone rather political in his older years. But anyway, great to have him and his band here, performing in Cortona. 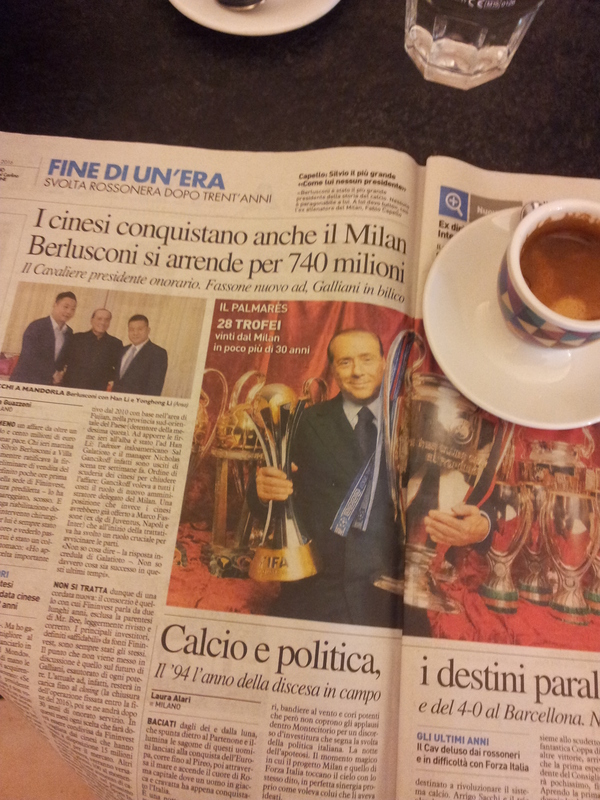 Silvio Berlusconi hands over AC Milan to the Chinese. Meanwhile Silvio has officially handed over AC Milan football club to the Chinese who may change the name to AC Peking; ha ha, only joking. But god only knows what effect this will have on the team and the fans. I can visualise chinese faces filling the stands and replacing some of the team members. What do you think? 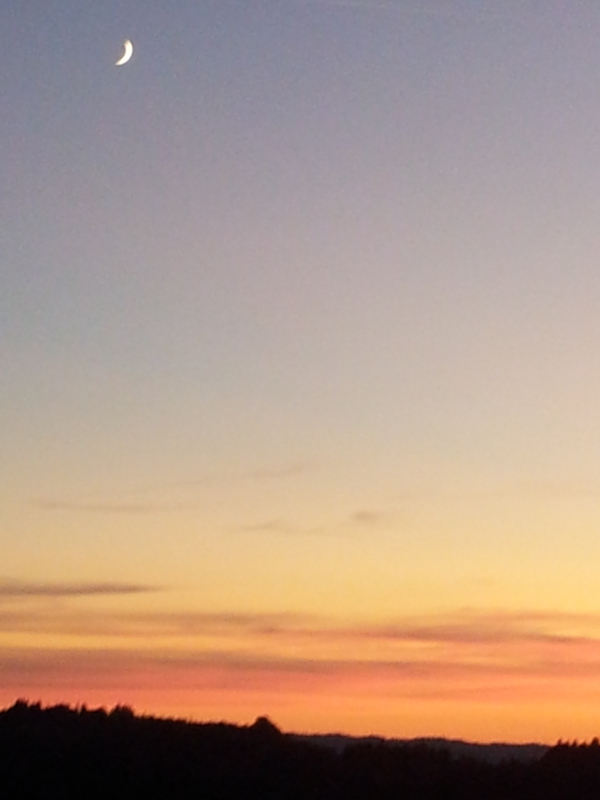 Fabulous sunset with moon last night. 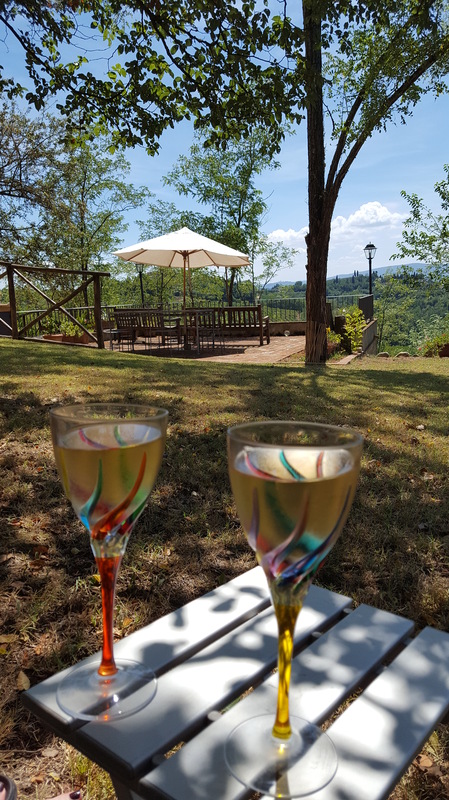 But let’s remind ourselves how lucky we are living here in Beautiful Chianti. It’s the time of year for fabulous sunsets and aperitivi in the shade of the Ash tree. The humidity has gone and a breeze is wafting across these dolce hills. So much so that my man decided to get his fitness regime going and walked across country from Fiano via Sticciano and Bacio to home after coffee last Sunday. It took an hour and twenty minutes; Bravo to him! Allora, time to think about getting this post to you and popping out for lunch at ‘C’era Una Volta in Luccardo’. At least Paolo and his staff are not away on holiday!